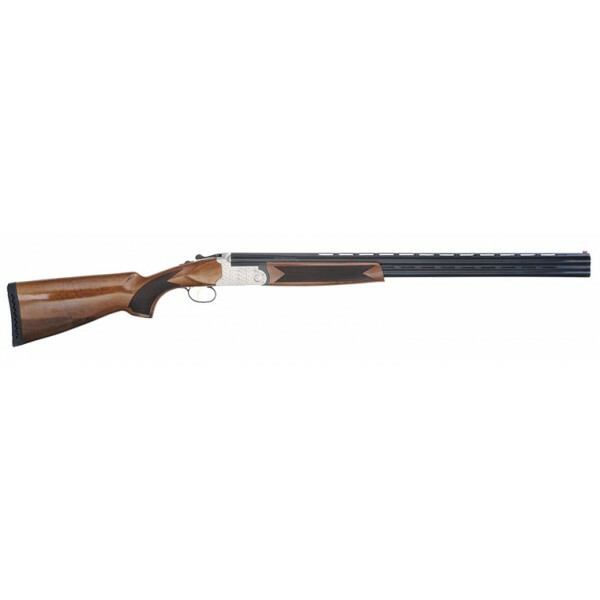 General Description: 3" Chamber Over and Under in 12ga and 20ga. The Setter S/T features a solid frame for durability and strength, sealed actions to keep dirt out, self-adjusting locking lugs, top tang barrel selector and safety, and steel mono-block barrel construction and Turkish Walnut with semi-gloss finish. Comes with 5 interchangeable Beretta®/Benelli® Mobil style choke tubes (SK, IC, M, IM, F), choke box and choke wrench. Rubber recoil pad and backed with a five year mechanical warranty.